Designing creative footer design is sophisticated and complex process in order to make the Website design as successful and efficient as possible. Although the footer of a Website always appears at the last of the web page, it can´t be neglected. Effective footer design can help creating an impressive and long-lasting impression. Hence, a well-managed and designed footer can certainly grab visitor´s attention towards your website. In this post, we are going to present the most innovative and stunning examples of websites, showcasing their inspiration and powerful footer designs. These designs can prove how effectively website footer utilizes and provides an extra bit in order to enhance the user´s experience. This footer design is creative to reach to the next level, not having professional look with complete information. It combines different aspects of web design, but the problem there is no contact detail available on site. The contact link at the footer directs you to another page in another website. This approach can frustrates visitors. Therefore, you need to work better on footer design. Wow! This is an outstanding and creative footer design for those who love funny things. Contact and feedback option is also available with a send button. In the right side of footer, some links like home, testimonial, about, portfolio appear. This footer design is creative design, but not professional. This website provides two different versions of footer design: a shorter and longer versions. You can switch with the help of single click to see the big view of footer. This is cool design with green background, reddish and white font color of content. The negative thing with that site is: there are no sitemap, phone number or other essential links at the footer. 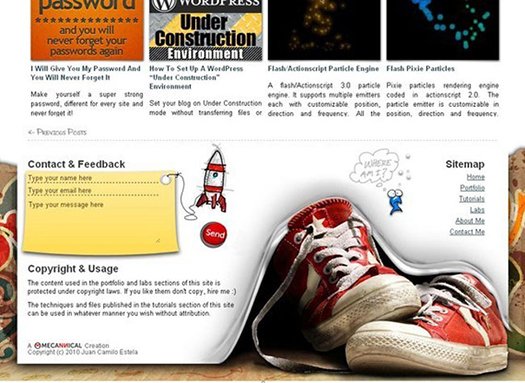 You need to do some hard work with the footer design to make it effective and innovative. This is another unique way to separate the footer of web page from the rest of the design. Black color background is used for the complete web page. The contact information and address is also available with links. As a developer, these types of designs are not in demand. 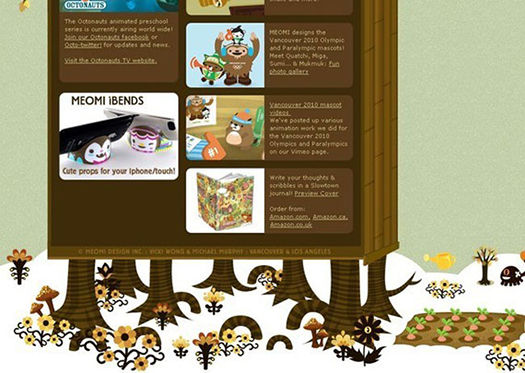 The footer design of Meomi website can attract kids and cartoon website designers. All the information is incorporated on this page in a well-organized way like content, images, layout for children. This footer is visually alluring to attract visitors and provide valuable information with the help of links. 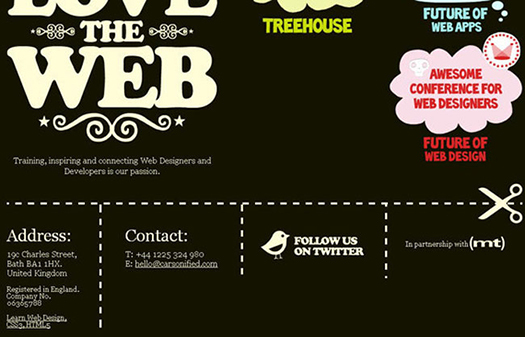 What do you think about these 7 Creative Website Footers? 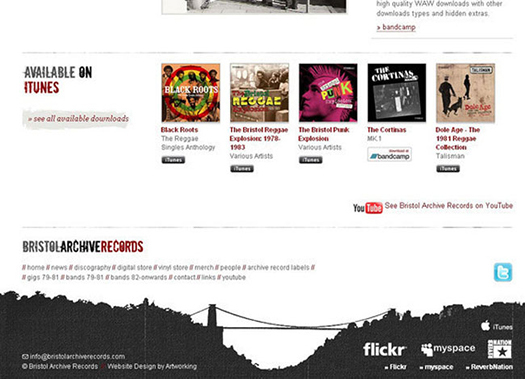 hopefully, you liked this amazing collection of footer design. Do you have other Website footer designs you like? Please share your opinion in the comments section. Your opinion matters, unless it is a Spam. The one of the professional website designers of CSSChopper is Garry Smith, who has sound knowledge about their field of arena. He has shared a number of blogs that help to learn how to design result-oriented and effective websites. 60 queries in 0.473 seconds.